Best Self Improvement Book I have ever read. 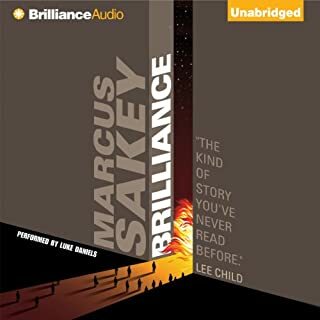 This is an excellent book that is innovative in its audible format, which is run like a Podcast with the Narrator periodically interviewing the Author. The content is RAW and unfiltered, which must have taken Goggins a lot of courage to get out. 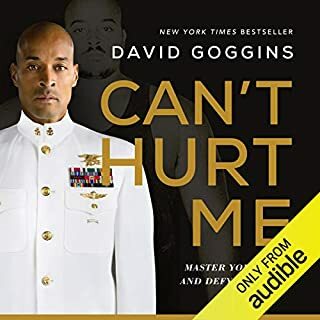 He is his own self-critic and overall, his story is inspiring on many levels that continue to inspire you well after you have finished this book. 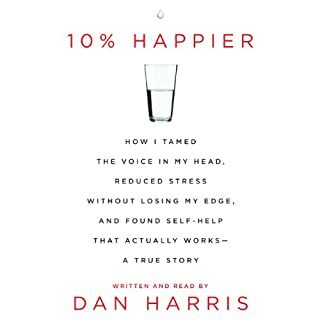 This is a self improvement book that should be on everyone's "mandatory must" list of books to read, and I have recommended it highly to my friends and colleagues. As a Physician, I have found a lot of inspiration I can take from this book that can help the people I serve. Bottom line - you don't need to "think about it" with this book. Just buy it. You will not regret it. This is a very well presented comment on politics in general, and it’s connection to business and ultimately the common voter and worker, be they a citizen or immigrant. The material is very mature, surprisingly non-partisan and objective as well as appropriately self-critical. I am very glad I read it. 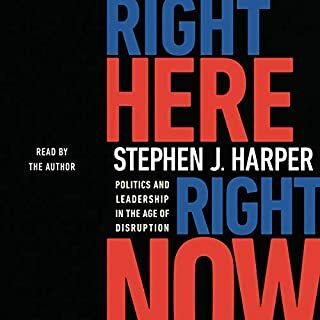 Harper is a surprisingly good audible reader and performer. This book should be mandatory for all high school Social Studies students. I am glad that there are people in the world like Harper, and I hope that he is inspired to continue to write more of such excellent material. At first, young Ryan Chase thought it was no big deal. A minor space collision with a creepy-looking, refurbished Paotow Tanker. Hey, these things happen-right? Sure, unless the one you have plowed into is a murderous psychopath, who has been lying in wait for the young Consignment Freight delivery pilot. The relentless cat-and-mouse galactic chase is on, and Ryan must either match his pursuer's cunning or die trying. Great book - enjoyed it immensely. 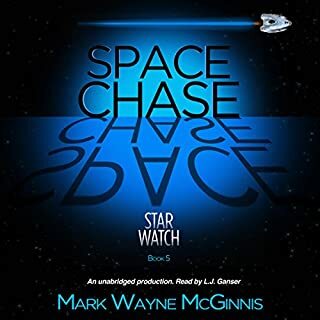 Fun introduction to new characters in the Star Watch universe. Can't wait for the next one. This is the world's "go to" for understanding dog psychology. This is a must-read for any dog owner. It is NOT a training book. It is rather a manual to how your dog's brain and psychology work - which will set you up for success in training. 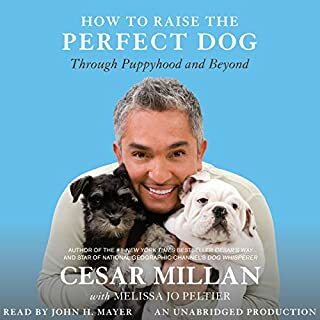 I would definitely recommend this to everyone that wants to raise a dog. There are at least 68 million dogs in America, and their owners lavish billions of dollars on them every year. So why do so many pampered pets have problems? 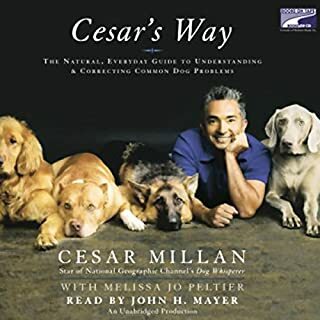 In this definitive and accessible guide, Cesar Millan, star of National Geographic Channel's hit show Dog Whisperer with Cesar Millan, reveals what dogs truly need to live a happy and fulfilled life. The truth of training a dog is that no manual will help unless you first have some idea as to the psychology of a dog. This book really shines with that. If you understand the psychology of a dog, you will be much more successful at training it. I'm glad I read this in preparation for training my pup. 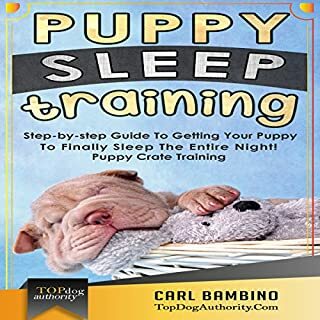 Puppy Sleep Training: Step-by-step Guide to Getting Your Puppy to Finally Sleep the Entire Night! Crate training a new puppy to sleep through the night in his crate in 7-10 days isn't really that hard. It's gonna take some work; in some cases, a lot of work. But you can do it! But the good news it, the nighttime approach to crate training your puppy is basically the same as the daytime with a few differences. This book will teach you everything you need to know. I don't think that this is an actual audiobook. Somehow, Amazon got convinced to publish this for sale on their site, and that is disappointing; as I trust Amazon to NOT let cheap Chinese knock-offs like this book to get sold to the unsuspecting public. There is simply nothing nice to say about this book. The one 5 start review was obviously a fake that was made by either the Author or his designate. The language and grammar in the book is fraught with mistakes that are typical of those who speak Cantonese natively. There are lots of issues with plurals, use of Pronouns and sentence structure that make the fact that this book is a fake Chinese knock-off more likely. I also don't think that the reader is human. The voice inflections are completely off, inappropriate and robotic. The "empty space" between words in addition to the complete lack of normal breathing and "giveaway human" traits are totally absent to the point that it seems that somebody took considerable effort to make it sound like the book is being read to you by an uneducated black man with poor grammar (I am not in the least bit racist - you'll know what I mean if you hear it). It sounds like some street punk from "the hood" is trying to use modern "black" street colloquialisms, but really has no idea how to use them. The information in the book is also terrible. The first half of the book talks about why the book is so awesome, and the last half of the book talks about why the title of the book is so important....but there is almost no information in this book at all. Amazon should screen the books that it sells on its site better in order to prevent such drivel from deteriorating its brand. Wow! A refreshing self help book that WORKS for the sceptic! I had no idea who this guy was. He talked about something called "GMA" like I was supposed to know in the very fibres of my being that it was an acronym for "Good Morning America" - a morning tv show on the ABC network. Personally, I only watch intelligent programming like "The Simpsons". 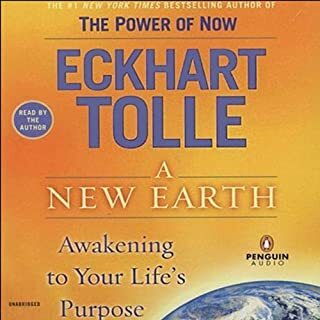 Back to the book: basically, he distilled the essence of the best of the best of self help books out there - and presented the wisdom gleaned in the context of his own chaotic and complex life. Tinged with humour and a charming self deprecating manner, he takes the reader through his very cynical thought processes and ends up giving you something very.....well, the best word Incan come up with is "credibly useful". I'd recommend this book very highly. I have 25 years of formal education and I got a lot out of it. Not much more to say. Overall an interesting concept. The world building is not as detailed as one would expect, and once you are used to high end world building with engaging stories and complexly detailed character development (see anything by Alan Dean Foster), you get quite spoiled. This author is good, but he's not great. Perhaps the editor "overdid" the job, but there is a lot of room for improvement. The novel is great in concept, but could have been made amazing by better Novelization skills. Hopefully this Author will improve their game. I'll certainly try more of their stuff in the hope that they get better. 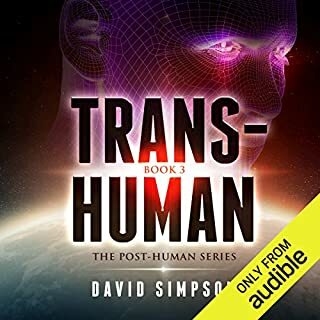 In this sequel to Post-Human, humanity will be forced to face a future more advanced than it could have imagined if it wants to survive. Nineteen months have passed since the A.I. turned against humanity and was subsequently destroyed. In the meantime, James Keats has turned over the A.I. 's powers to a non-intelligent, easily controlled operating system. He and Thel have left the planet and spent six months vacationing on Venus, which has been newly terraformed without the consent or knowledge of the Governing Council. The Author really takes advanced philosophy and presents it in a way that is very enjoyable to read and which really does expand ones' mind to consider things that one would never normally consider. Amazingly well done piece of science fiction in the whole series. The Narration by Ray Chase appears to be consistent, but very weak in inflection and style. Downward intonations at the ends of woodenly performed sentences and quotations remind me of those incredibly boring and uninspired, long winded sermons my parents made me sit through in Catholic Church so many years ago. The narration is really actually irritating for this reason, but made bearable as a result of the fantastic mind expanding storyline.